I know that these 4 doors are uncool to some people, but it was affordable to me for that reason, I was then able to have a 350SBC/700 auto fitted, with a disc brake and power steering conversions, a 2 door car would have been triple the price here in the UK. That, my friend, is a VERY cool car no matter how many doors it has. Must be amazing to cruise around in that, the looks you must get. As we get older the 4 door sedans are much more practical. No climbing in and out of the back seat. Nice Car! Hi Steve ,many thanks for the nice reply, I don’t know New West at all, but we have been to BC many times, my cousin lives in Port Coquitlam, I could happily live in BC if I didn’t love Norfolk UK. Sure looks awesome to me. Thanks Cleon and Tony, appreciate the comments. My first 2 cars were 57s. (in 1971) My first was a six banger 2 door 150 rust bucket, and my second was a 283 4 door 210. The 4 door was definitely my favorite of the two. The V8 with a new four barrel carb probably helped some -but all tri-fives are cool. Well, the thing is you got one, those "some" people don't. It will fit in my garage! Nice, car, thanks for the picture! Very nice looking '57. Or as the Beatles once said, "It's a clean machine". This car was already in the UK, saving me money on shipping, and I was able to view and test drive it before purchasing it, just need to get the conversion finished so I can enjoy it now. I've had 4 '57's over a span of 50 years, including my present one. All were 4 doors. Yours is very sharp! Thank you for the nice reply, great County you come from, been there a few times, my next favourite state after Wyoming. That is one mighty fine car my friend. 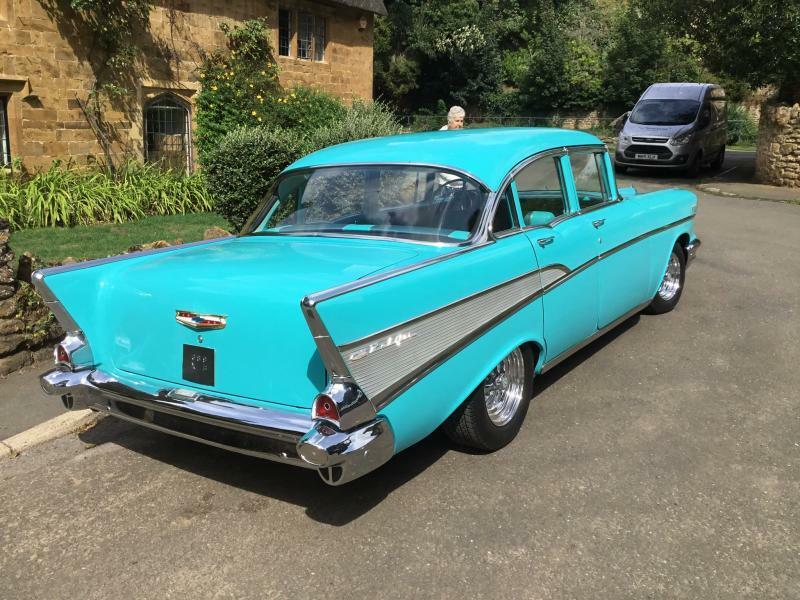 I am kind of watching for something like this as the 57 is way cool. 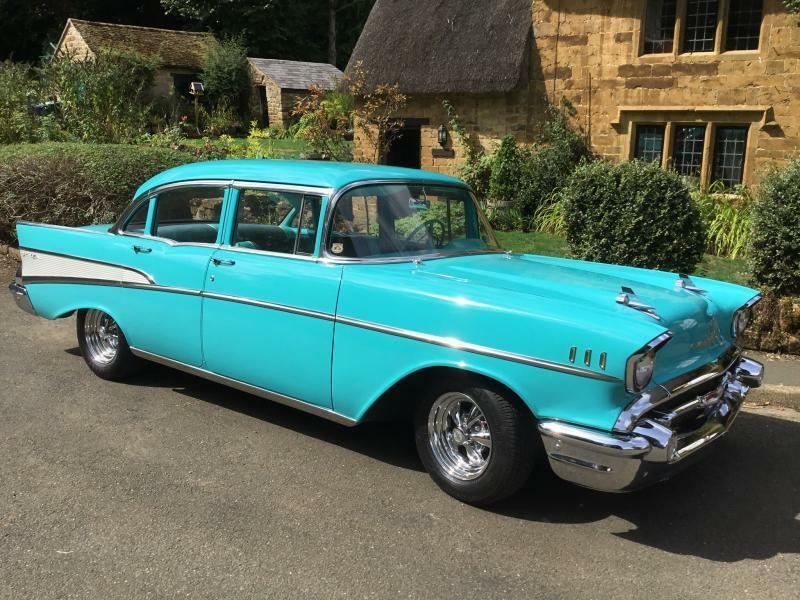 When I got married in 1965, I drove my 1957 Chevy Bel Air on my honeymoon trip. 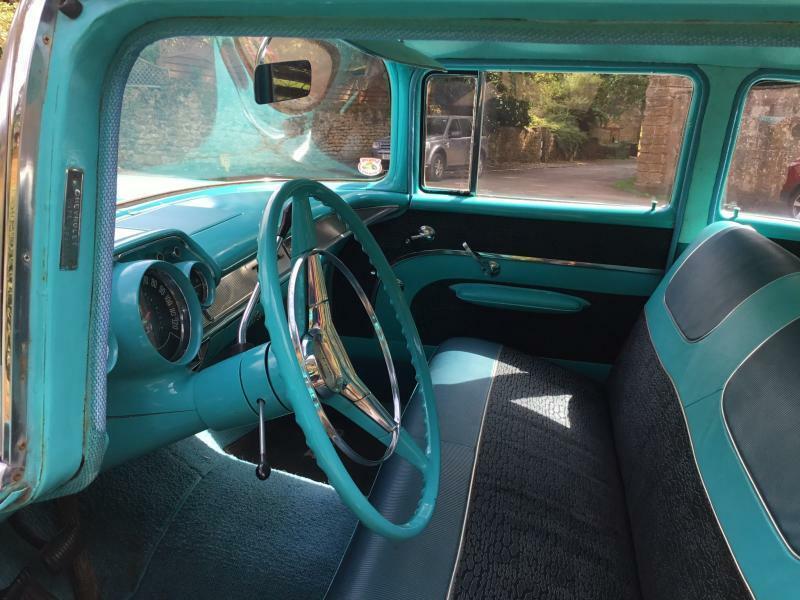 It was a Tropical Turquoise (my favorite color) 4-door just like yours. It had a 283/Powerglide. My wife and I loved that car and we kept it many years afterward. It originally belonged to my wife's dad. Thanks for the memories and it is a beautiful car! 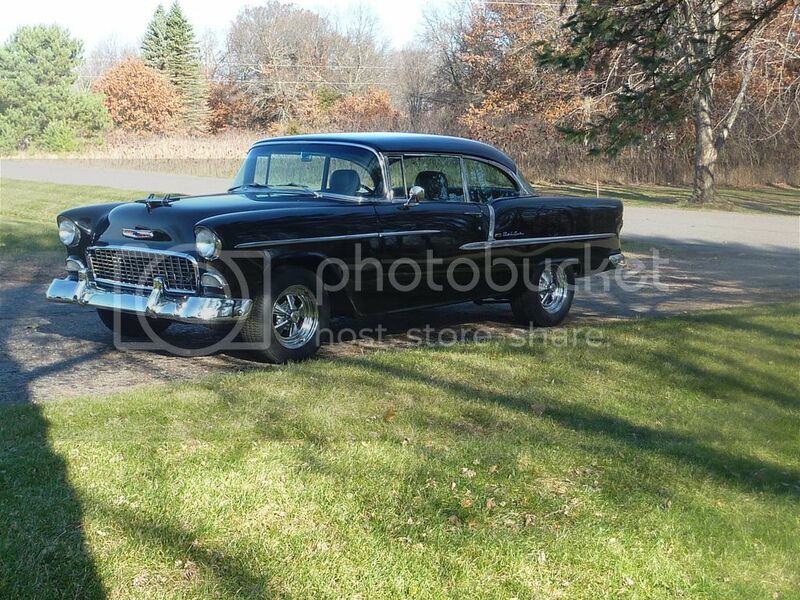 Nice looking 57, At 70 I have a 2 door 63 Impala SS, it is a bear to get in back seat to clean the rear windows. Been looking at a 4 door and or a Station Wagon.